- Telescope handle and full 360 degree swivel head base. - Revolutionary microfiber threads attract and absorb dirt and microparticles. - Electrostatic action attracts and traps dirt and allergens when used dry. - Absorbs spills and removes tough stains when used with Bona Swedish Formula Cleaners. - More economical than disposable systems. 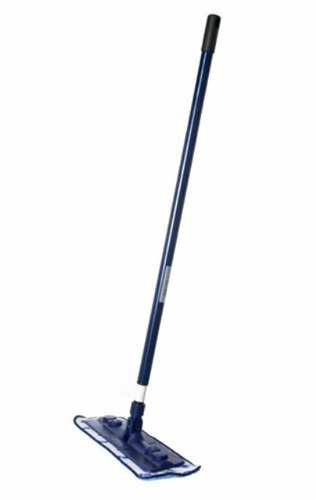 - Extra long telescoping handle and full 360 degree swivel head base allow for easy maneuverability.